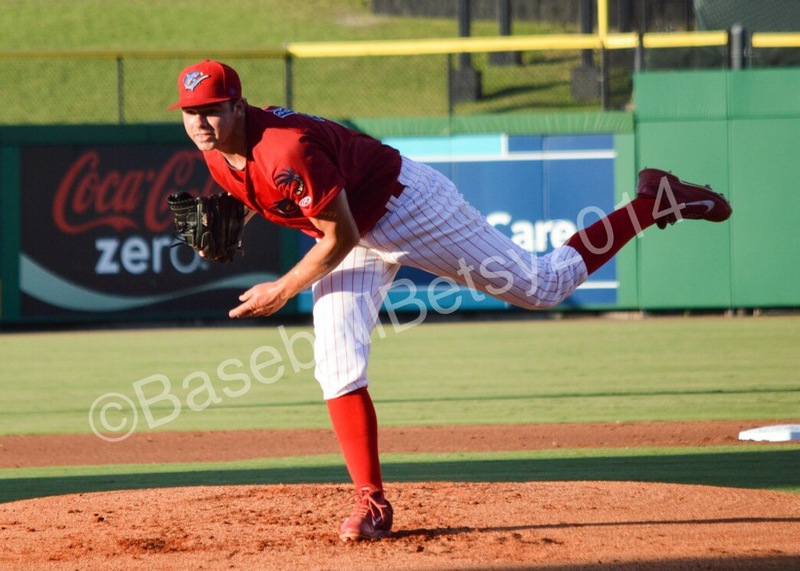 For the second year, Baseball Ross and I were asked to participate in Mike Drago’s poll of the top 20 prospects in the Phillies minor league system. I’ll admit it, I’ve slacked off a bit this summer. It’s hard not to. This has been one of the hottest summers in recent history and definitely the hottest since Baseball Ross and I moved to Florida full-time. Almost every day for over a week has had “feels like” temperatures over 100, with one day being 110! 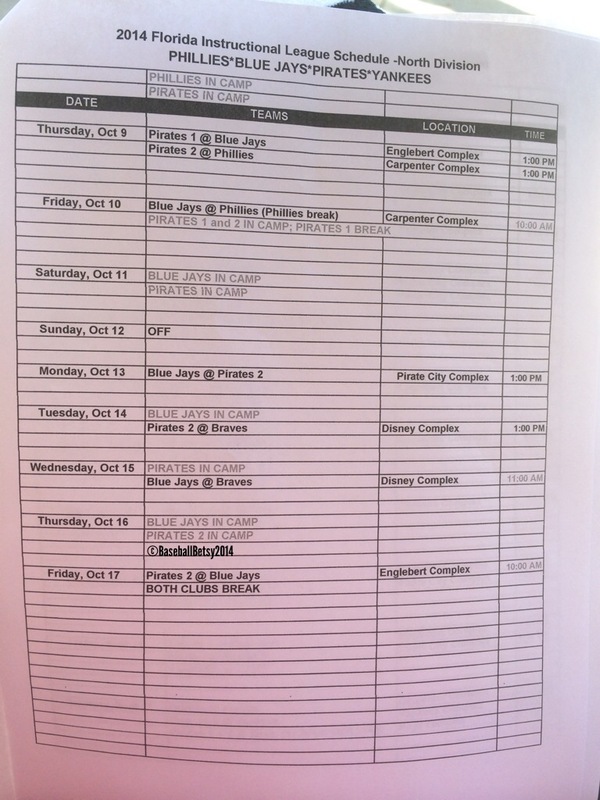 With the heat like that, going to Gulf Coast League games at noon is brutal. At the Carpenter Complex, there is a trade off: if you want shade-you get no breeze, if you want a breeze-you get no shade. Regardless of where you sit, every available space for spectators is covered in heat-absorbing concrete. Couple all the heat with a severe case of elbow tendinitis in my right elbow that kept me from being able to take pictures with anything heavier than an iPhone and you have a recipe for a long summer. 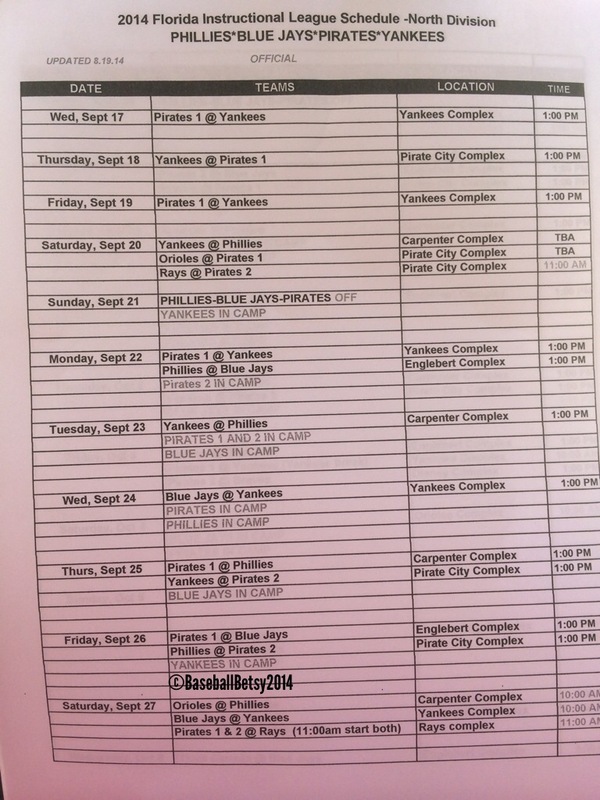 That being said, I have gotten to see a fair bit of baseball and a few things that helped me to love baseball again. 1. Winning a jersey in an auction that was worn by my favorite Williamsport Crosscutter. Ross and I have been good friends with Feliberto Sanchez since last year when he spent the year here in GCL and the Fall Instructional League. He’s a great kid and I just had to have the jersey. 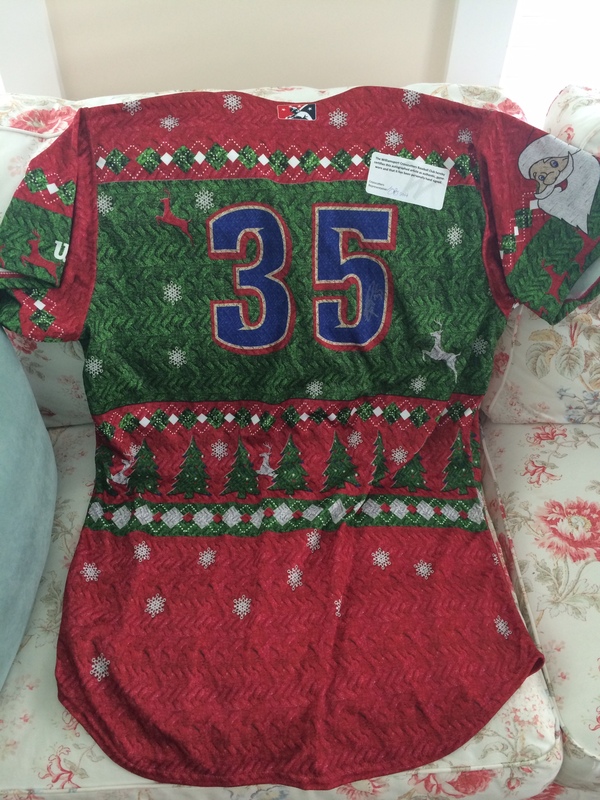 OK, the auction was for their “Ugly Christmas Sweater” promotion, but still, it was Sanchez’s jersey. There was only one problem. The Cutters never responded to my inquiry about proxy phone bidding. Luckily, Tim Luzier (@20schmidtfan) saw my plea and helped me out. I’m so grateful for his help. 2. 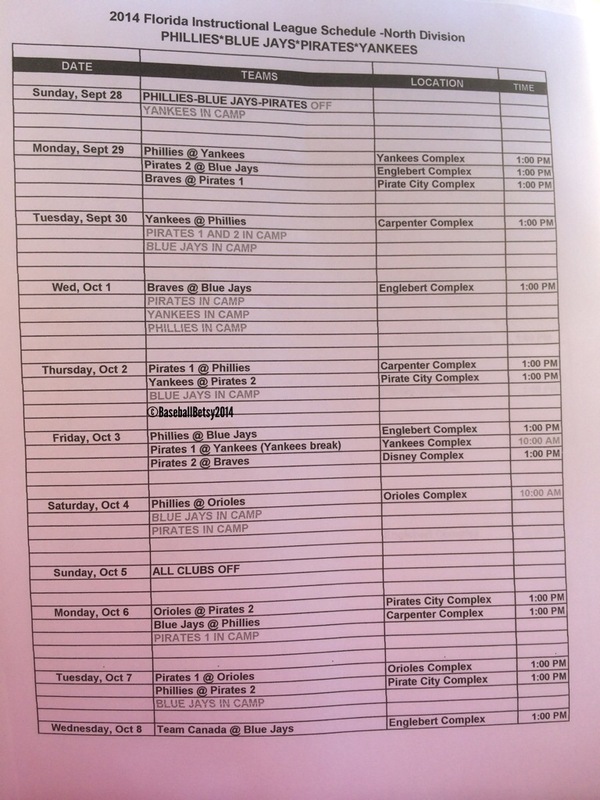 Our crazy marathon trip to see every team in the Phillies minor league system–IN ONE WEEK. (You can read it and see the pictures in this post.) 3,200 miles (1,200 by car) and it was a blast. That being said, I’m not sure I’d do it again! It was very draining. 3. 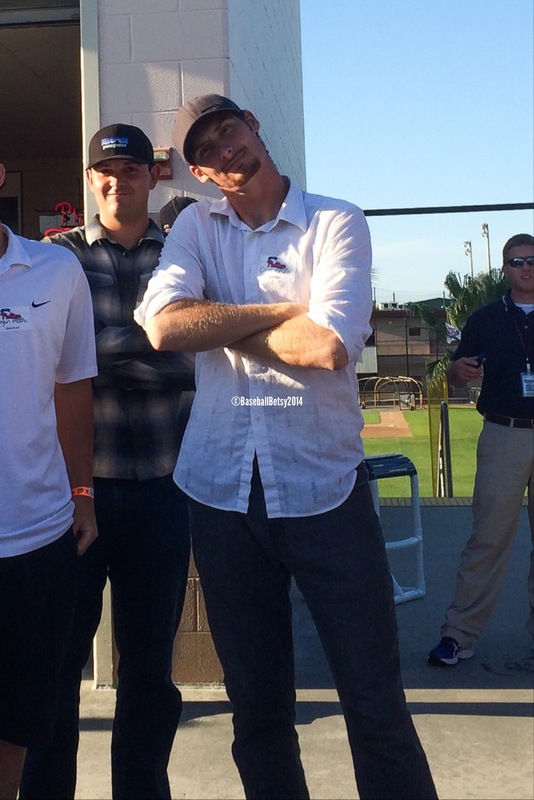 Seeing pitchers overcome difficulties and succeed. 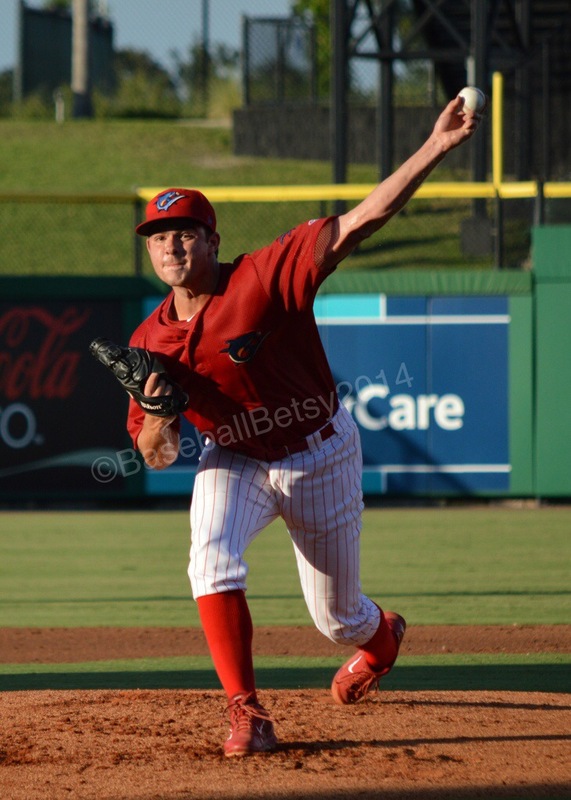 Colin Kleven had a back injury that prematurely ended his season in Clearwater last year. Seeing him come back and steadily progress has been great. As difficult of a season that Clearwater had, I always looked forward and went out of my way to see him pitch and was often rewarded by a strong performance. 3. 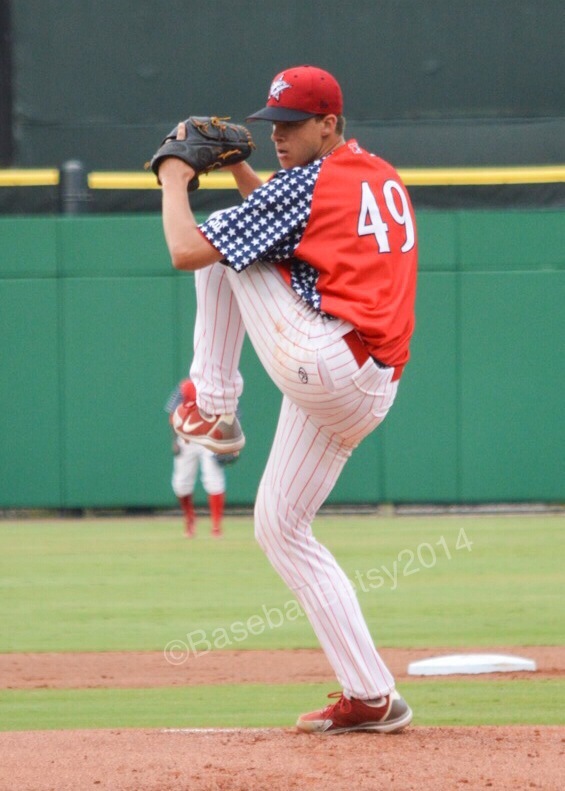 Seeing Aaron Nola’s first and second professional starts. That could be one of those things that in 10 years I’ll be bragging about it. You can read about his first start HERE and the second start HERE. 4. 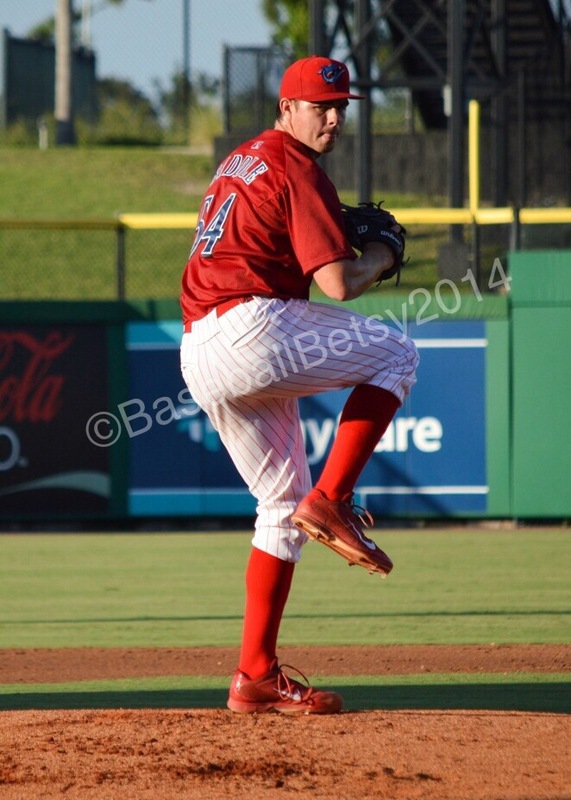 Getting to know Frank Viola III and learning about the knuckle ball. I had written a story about Frank’s return to baseball and one night, while Ross and I were at dinner the waiter came up to me and asked, “Would you happen to be Baseball Betsy?” I replied that I was and he smiled and said, “The gentleman at that table over there would like to buy you dessert.” (Now there’s a guy who knows the way to my heart!) I looked over and it was Frank and his mother. He had read the story and liked it. Ross and I ended up joining them and had a great time. I learned so much about the “mindset of the knuckleball”. 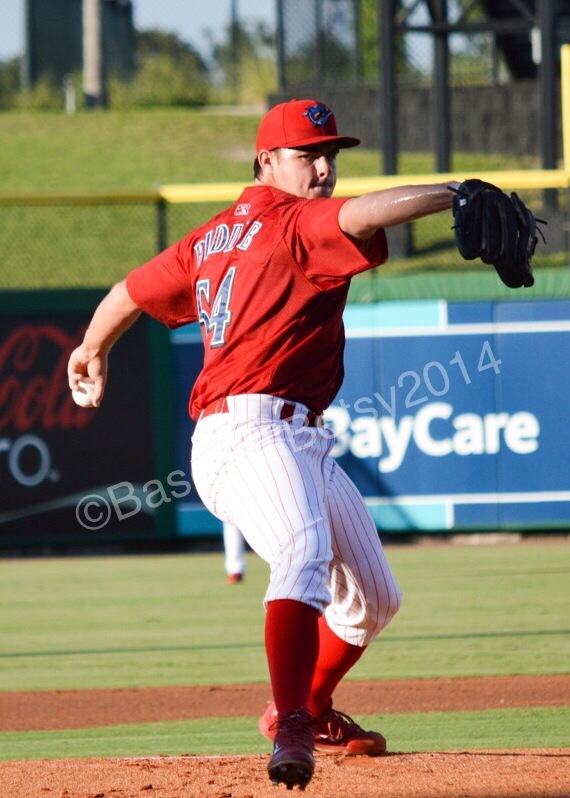 If you’ve read my blog this summer, about a third of the posts were about knuckleballs. 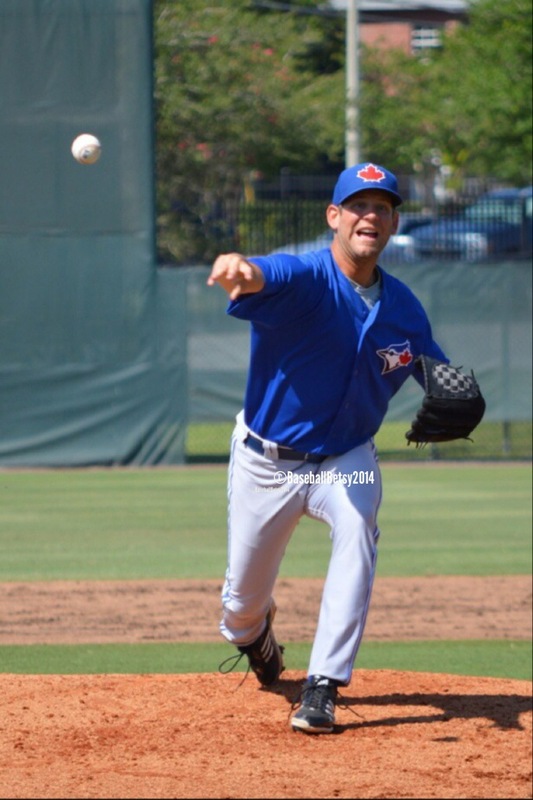 After that, I followed his progress through the Blue Jays minor league system including a stop in Dunedin, where I got to see him pitch. Sadly, my heart was broken at the end of July when he was released. On the plus side, I made a new friend and that is amazing by itself. 5. 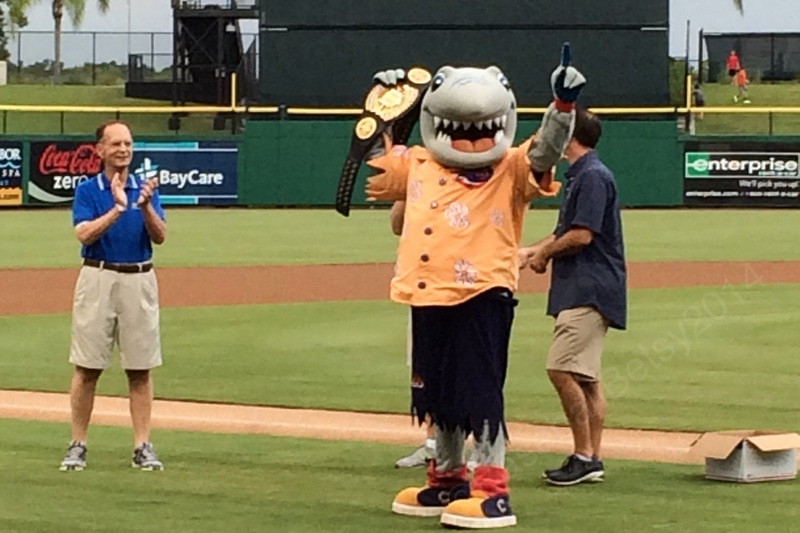 Helping the Threshers mascot, Phinley win the Mascot Mania Challenge to be the best mascot in ALL of minor league baseball. 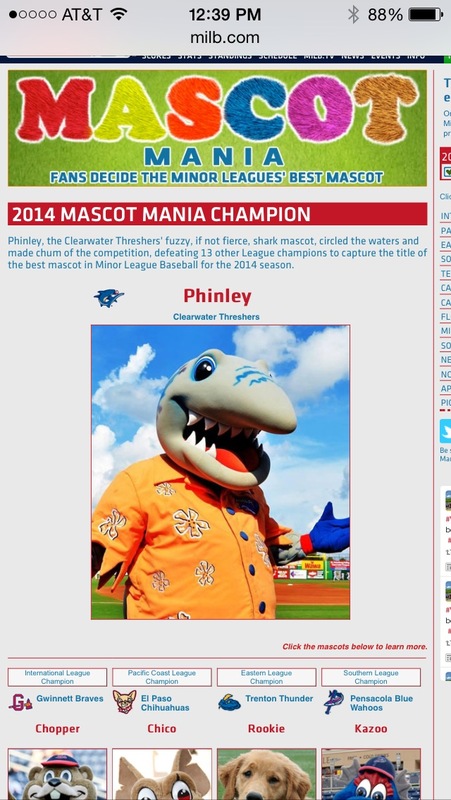 It was a hard push, but after hundreds of tweets, retweets, online votes and my followers retweeting my tweets helped to make Phinley a winner. It was a matter of time since he was second last year. I know looking at the picture above you can hear “You’re the Best Around” playing in your head. 6. 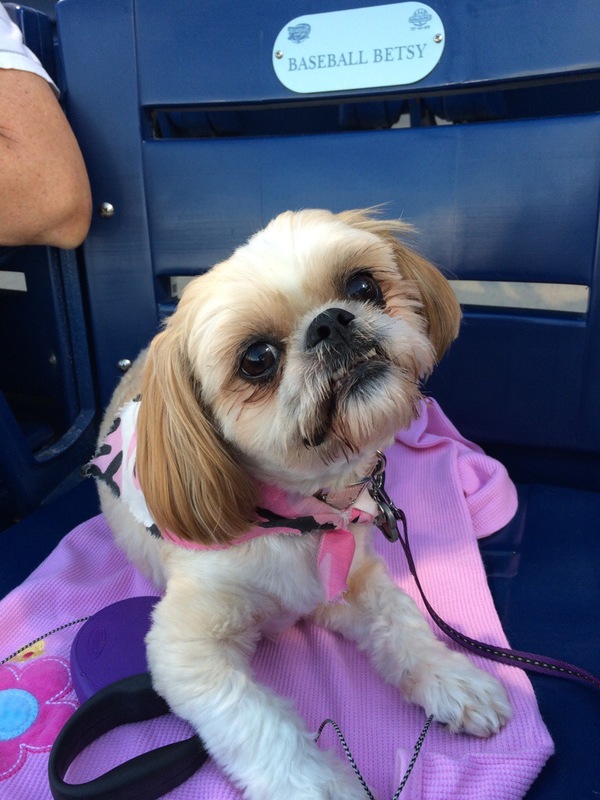 Bark in the Park/Yappy Hour. To me, this is the best trend in all of baseball. 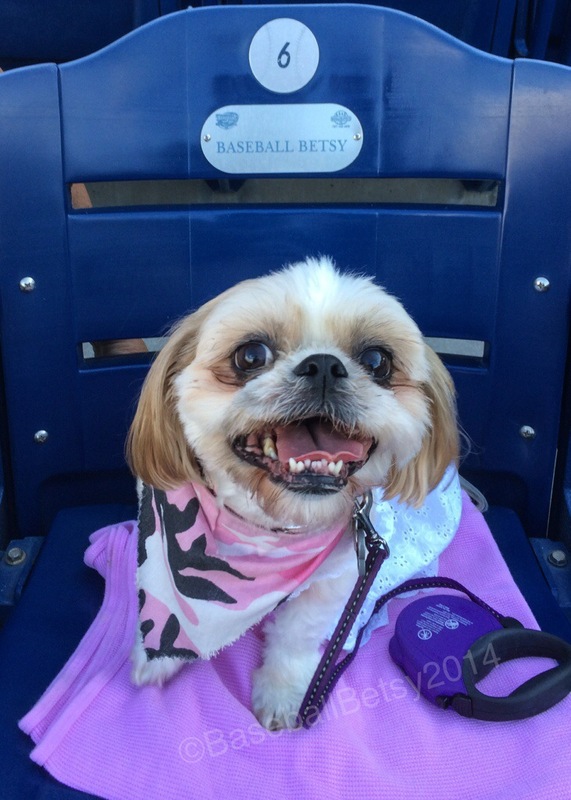 Pay a few dollars to an animal charity for a “ticket” for your dog and they can join you at the game. 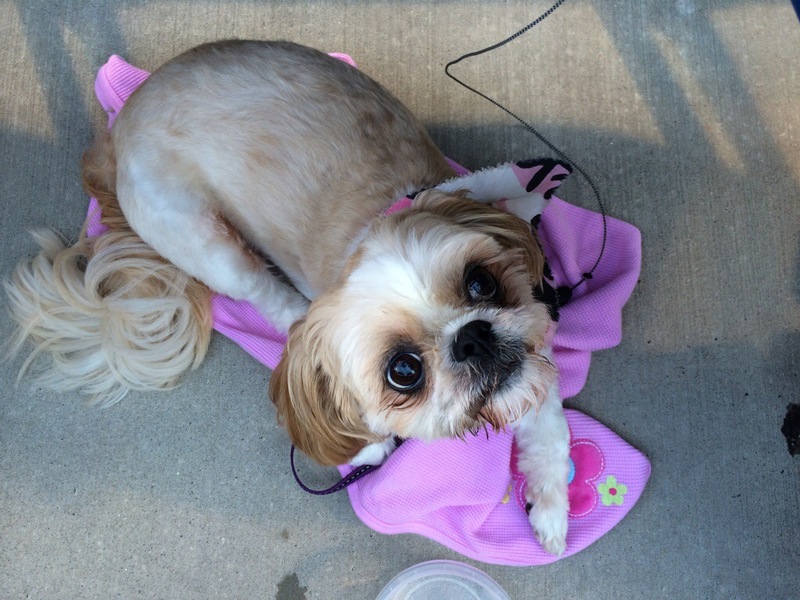 We have two small shih tzus and over the years we have taken them to several BitPs. Sadly, Maggie our 14 year old, cannot endure the Florida heat so she was not able to attend this year, but Veronica our youngest, LOVES to go. I wrote a story about her game. Just look at that face, you can tell she’s having a blast. So there are the things I loved most about the summer of 2014, I couldn’t really even rank them because they were all pretty stellar. Tonight was “Yappy Hour” or as it’s better known as Bark in the Park. I took my youngest dog, Veronica. Baseball Ross and I have come to realize she is not a “normal” dog. She’s extremely intelligent and actually seems to enjoy a baseball game. It was really hot (the main reason we could not bring our other dog, Maggie. She is 14 years old, and the heat really bothers her.) At one point, the sun was on our seats and the heat became very uncomfortable. So we made a little bed under the seat for Veronica. She really seemed to have a good time and even gave me a big smile when I asked her she was having fun. And at the end of the night she even was a little silly, trying on my hat. Don’t think we forgot our other dog, Maggie. We took homehalf a hot dog for her so she wasn’t left out. And if you knew a new Maggie, all she would’ve wanted tonight anyway was the hot dog. 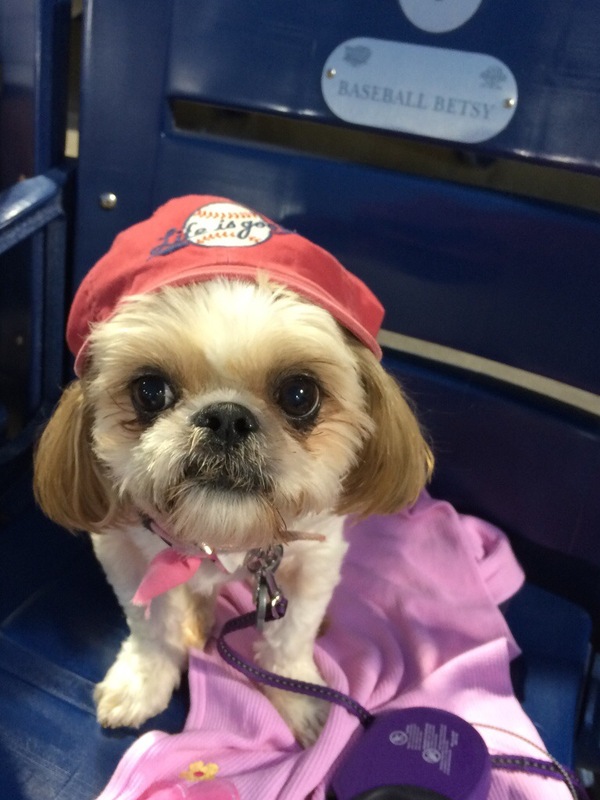 Veronica so loves going to baseball games. She’s quiet, attentive and honestly she’s more well-behaved than most children. I wish she could go to every game, and I think she does too.